Epilepsy Ontario has submitted a four-year proposal to the province’s health and finance ministers to include funding in the 2019-20 budget for education programs largely focused on helping people understand when a seizure is a medical emergency and when it’s not in an effort to stem hospital visits, reduce costs to the health-care system and help people better manage their epilepsy. Epilepsy Ontario director of government relations Drew Woodley. 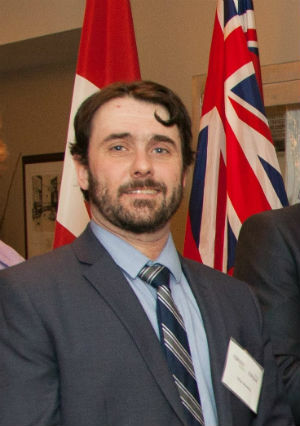 However, people living with epilepsy need to get behind this proposal, says Drew Woodley, director of government relations for Epilepsy Ontario. Epilepsy Ontario is asking people connected to the province’s epilepsy community to sign an e-mail that will be sent to Health and Long-Term Care Minister Christine Elliott and Finance Minister Vic Fedeli showing support for the proposal. These basic epilepsy educational programs, which would be provided through Ontario’s community epilepsy agencies, are aimed at people who have a seizure disorder, their families, schoolmates and co-workers, to help them understand when to call an ambulance and when not to if someone is having a seizure. In areas of the province without an epilepsy agency, Epilepsy Ontario would work to provide staff to those communities. Managing epilepsy, the importance of taking medication and dealing with triggers that may cause seizures would also be discussed. The provincial government has committed itself to reduce health-care costs and addressing hallway medicine, and Woodley says Epilepsy Ontario’s proposal would save the health system millions of dollars. “By the end of the fourth year of funding, we are projecting savings in the $3-million range and those savings would continue after the fourth year of funding,” Woodley says. Part of the proposal includes projections of how many people with epilepsy would avoid unnecessary emergency-room visits once they and their peers have an understanding of when it is appropriate to be sent to hospital following a seizure. “There are thousands of visits per year to hospitals that aren’t going to happen (if people have this education), which creates space in the hospitals and reduces the number of unnecessary patients,” Woodley says. Click here to send an e-mail showing your support for the proposal.